Hayward, Jane. "Stained-Glass Windows." The Metropolitan Museum of Art Bulletin, n.s., 30, no. 3 (December 1971-January 1972). p. 145. Husband, Timothy B., and Madeline H. Caviness, ed. Stained Glass Before 1700 in American Collections: Silver-Stained Roundels and Unipartite Panels (Corpus Vitrearum Checklist IV). Studies in the History of Art, Vol. 39. Washington, D.C.: National Art Gallery, 1991. p. 140. Husband, Timothy B., and Ilja M. Veldman. 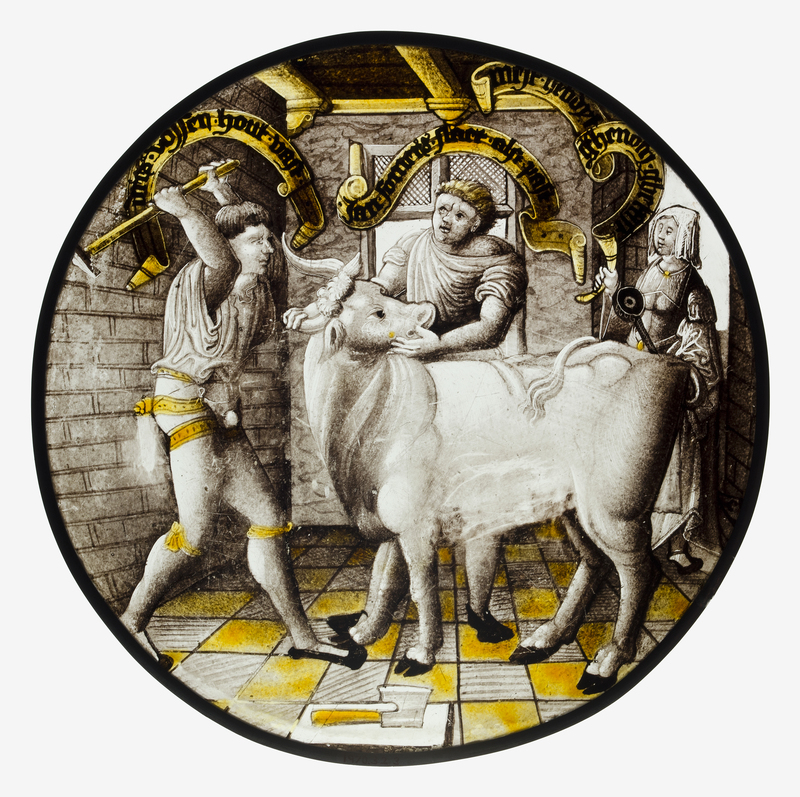 The Luminous Image: Painted Glass Roundels in the Lowlands, 1480-1560. New York: The Metropolitan Museum of Art, 1995. no. 29, p. 87.